Grown up tails!. . HD Wallpaper and background images in the Miles "Tails" Prower club tagged: tails. still looks the same to me. 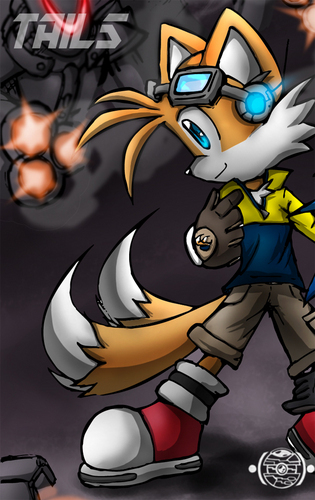 tails wears a brown belt and gloves. Great pic dude. One of my favorites.